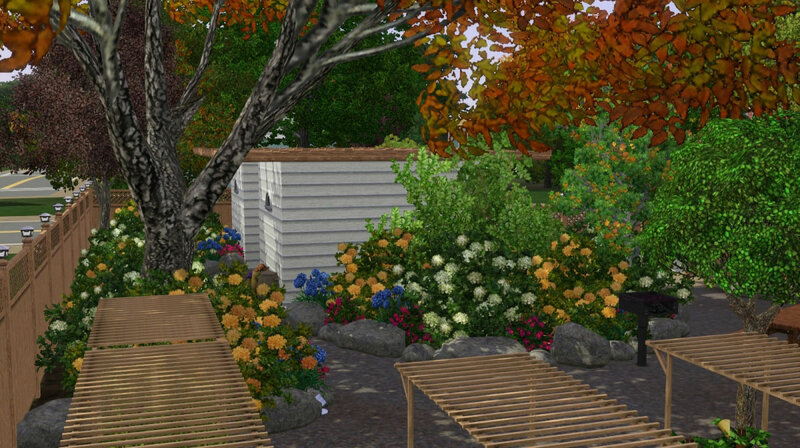 With a full set of harvestable plants and a beautiful, soothing atmosphere, this community garden is a lovely place for sims who like to dig in the dirt and enjoy the fruits of their labors. 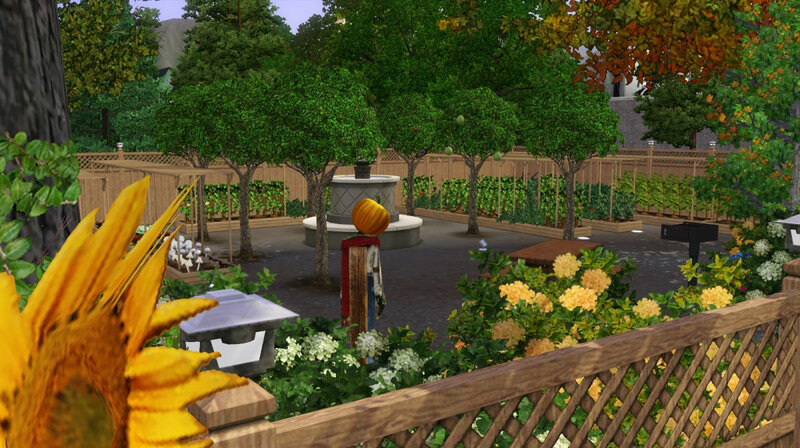 Koigu Community Gardens includes at least one of every harvestable plant from every EP (with the exception of Mermaid Kelp, which only works underwater). 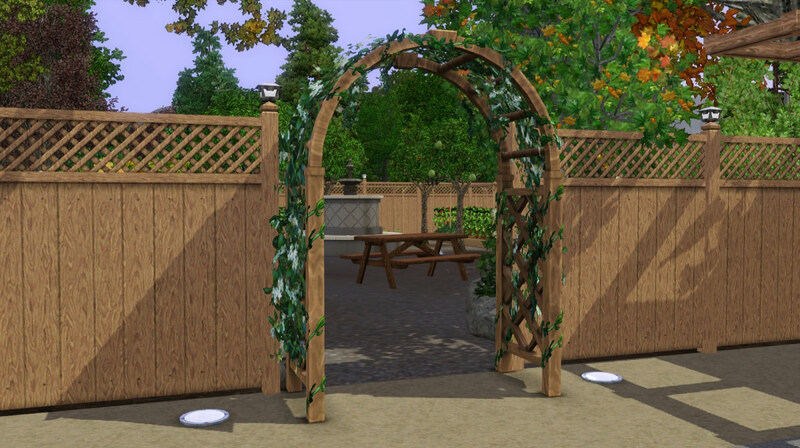 In neat raised beds surrounded by gravel walkways, these plants provide your gardening sims with great practice for their skills, and raw materials to help their gardening efforts at home. 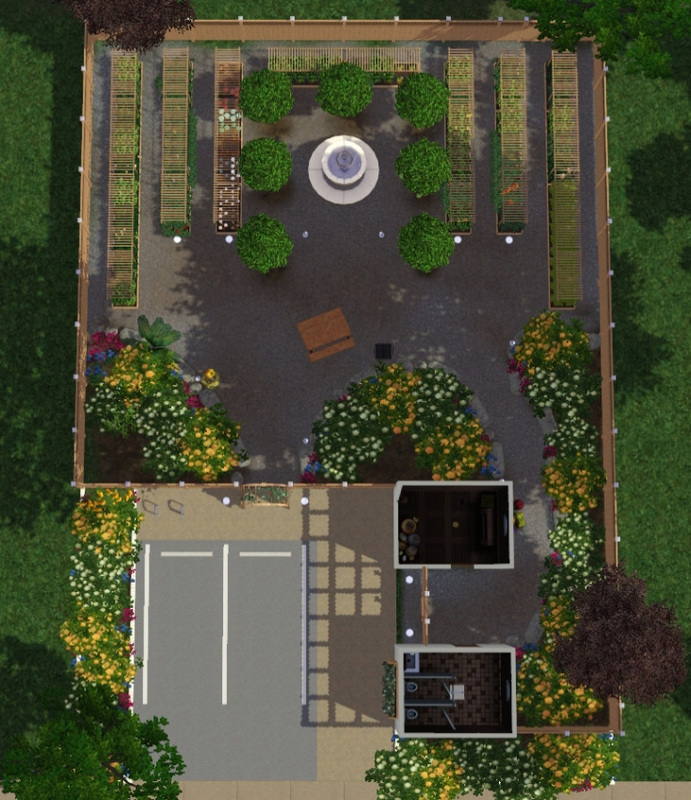 Due to the way the game generates plants, they may be in any growing state, and are done via auto-soils, so they are of the "normal" quality type, not perfect. As such, I do not consider this terribly "cheaty" - perhaps a bit of a shortcut to get some of the rarer plants, but no more than that. 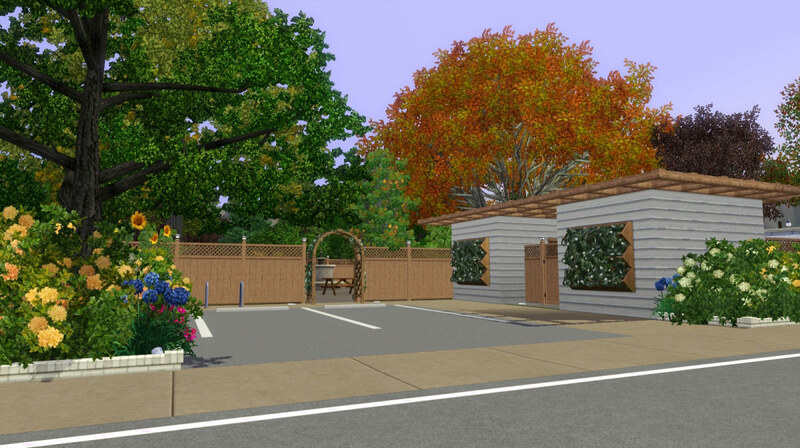 This small lot has but a few amenities, but should be comfortable enough for an afternoon visit. 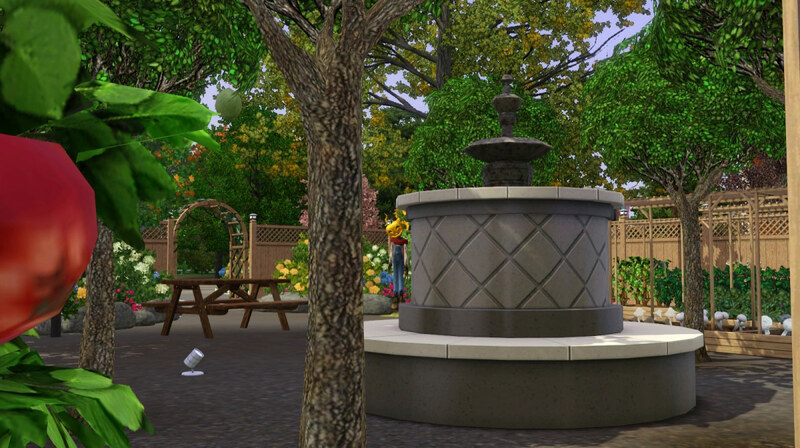 Sims can rest by sitting on the edge of the central fountain, and restroom facilities are also included, to wash the dirt off your hands before enjoying a quick hotdog at the outdoor grill and picnic table. 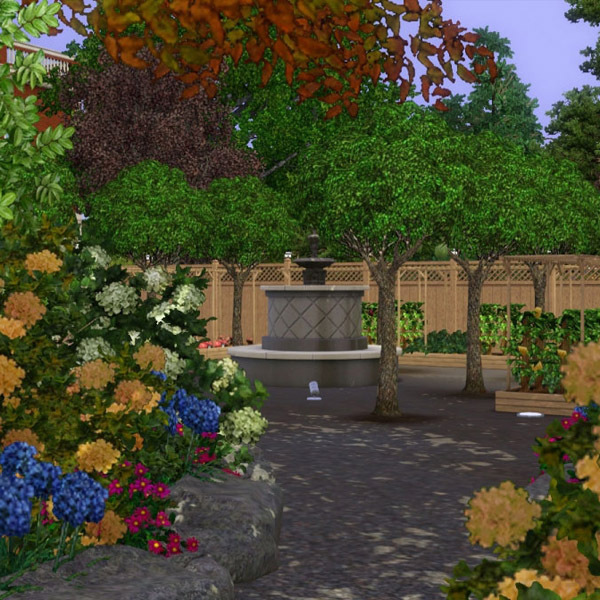 Mansfield Planters by Gosik - Technically, you only need #3 and #5 from the set. Special thanks to lewjen for the ideas for layout, heaven for playtesting, Bakafox for technical advice, and everyone else in #create for encouragement and opinions. 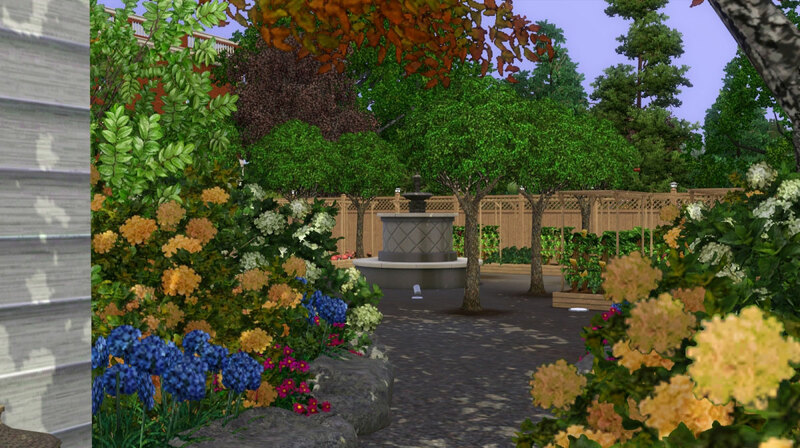 Thanks also to Sims MX and Gosik for their CC items used in this lot.